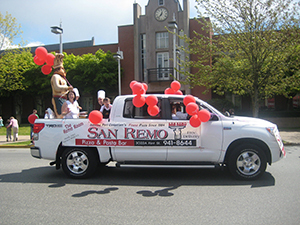 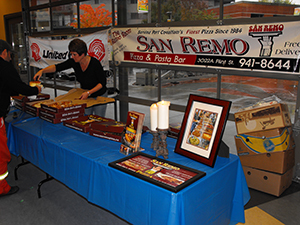 San Remo participates annually in the Port Coquiltam May Day parade with our "That's Amore!" 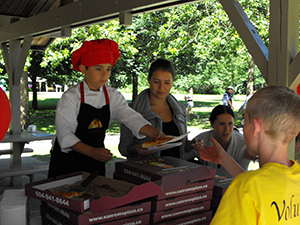 float and free pizza slices given to the crowds. 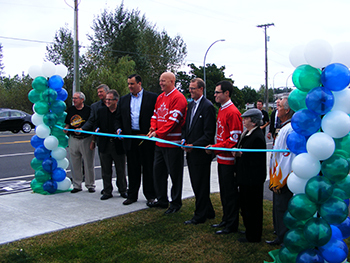 In 2010 we participated in the opening ceremony for the Coast Meridian Over Pass, feeding the South vs. North Hockey teams that played on the overpass. 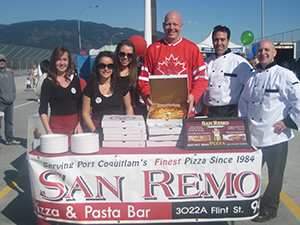 Being a part of these events allows us to celebrate the pride and excitment of our community.